PACT has been funded by the European Commission to promote awareness for communication and training targeting professionals and institutions that actively work in the support chain for women and children survivors of violence. PACT promotes collaboration among stakeholders, offers training and builds a European network of expertise in the field of violence against women and children. As announced in our August newsletter, we are currently planning our final conference which will take place on December 2nd, 2011, in Kaunas, Lithuania. After the successful event in Lisbon, where representatives of seven national pilots met for a two-day workshop, we hope that this final conference will meet as much interest. PACT has successfully developed and tested innovative learning modules in the field of domestic violence. The central objective of the PACT training is on the one hand to deepen knowledge about domestic violence among professionals and on the other hand to promote a closer cooperation and networking of all relevant stakeholders at a European level by exchanging knowledge and practice with view to different intervention models. The structure of the training is based on a modular concept, meaning that the section and units of the course can be used independently and consists of face-to-face seminars being complemented by online modules. During the final conference participants will be given the opportunity to get an overview of the training course methodology and contents. The seven training modules will be briefly presented and the PACT partners will report on highlights from the national pilots as well as on the challenges on the one hand and on the benefits on the other hand. Conference guests will also be able to visit the e-learning platform and make a tour themselves through the seven modules with support provided by the PACT team. Besides project related discussions and presentations other relevant aspects will be addressed such as the consequences of new legal regulations in Lithuania related to domestic violence. Furthermore, the PACT team invited a guest speaker form the Netherlands, Eltjo Lenting, police officer in Amersfoort to give a keynote on how the restraining order is handled in the Netherlands. Here a special role has been assigned to the mayor, who is responsible for the decision as to whether someone receives a temporary restraining order and must leave their home. The keynote will also provide information on how the risk for involved professionals is assessed. Since risk assessment is an issue of paramount importance, we will also consider the victims’ perspective. Our Portuguese project partner AMCV will bring about how the risk is assessed for the women involved in a violent partnership. The conference aims at bringing together stakeholders from different sectors such as adult education, domestic violence and policy making; representatives from women’s NGOs, police, social and healthcare organisations as well as interested persons from all over Europe are warmly invited to join. 10:30 Actions towards diminishing domestic violence in Lithuania. Advisor of the Ministry of Social Security and Labour of Lithuania. 10:50 Outcomes of the European project “Promoting Awareness for Communication and Training in the field of Domestic Violence”. Sabine Wiemann, BUPNET, Germany. 11:10 Presentation of the e-learning platform “Promoting Awareness Cooperation Training”. Sabine Wiemann, BUPNET, Germany. Module 4: Approaches to changing perpetrators’ behaviour. Module 5: Role of Professionals. Handling the restraining order in the Netherlands and risk assessment for professionals. Eltjo Lenting, Police Amersfoort, Netherlands. Risk assessment for survivors. AMCV, Petra Viegas, Sandra Paulos, Portugal. 15:30 Open discussions. Visiting the e-learning platform (in EN and LT), networking and informal talks. 16:15 End of the conference. You can register for the conference at the PACT project office info@pact-eu.org. PACT is funded by the European Commission to promote awareness for communication and training targeting professionals and institutions that actively work in the support chain for women and children survivors of violence. PACT promotes collaboration among stakeholders, offers training and builds a European network of expertise in the field of violence against women and children. In our December newsletter we announced the start of the national pilots including the Lisbon workshop. The training kit has been piloted from March 2011 onwards. Each partner has organised the pilots individually. The overall duration of the course is approx. 70 hours of which about 50 hours are provided in e-learning, i.e. approx. 15 hours per month. The organisation of face-to-face workshops has been with the PACT project partners who adjusted the time table to the specific requirements of their participants. An integral part of the national pilots was the international workshop in Lisbon. 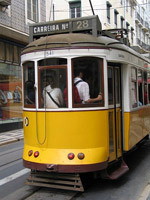 The highlight of the piloting phase was certainly the two-day workshop, which took place in Lisbon on June 16th and 17th, 2011. We were a group of 40 people consisting of two to three participants of national pilots, the PACT partners and some guest speakers from the field. The focus of the workshop was on risk assessment for survivors and for professionals, exchange of good practice as well as on new approaches from the field. The group met on the eve of the official workshop start and had a wonderful Portuguese dinner together in the heart of Lisbon. The variety of food and above all of deserts was tempting and promised a good start. The workshop started with a first activating networking exercise to get to know to each other. This kind of speed dating required a good choreography and was quite challenging – people formed couples and stood in two rows in front of each other. Each couple had one minute, 30 seconds each partner, to present their professional background, particular interest and the colour they felt that very day to each other. After one minute (sharp!) the first in one row went to the end and the whole row moved forward to change couples. The noise of 20 couples talking simultaneously was tremendous but helped a lot to overcome language barriers. After this noisy and funny start the floor was given to best practice examples. One example given by the Dutch colleague, police officer in Amersfoort, highlighted how the restraining order is handled in the Netherlands. Here a special role has been assigned to the mayor, who is responsible for the decision as to whether someone receives a temporary restraining order and must leave their home. It is also the mayor who can withdraw the temporary restraining order and the partner or family member may return home. In practice the mayor will usually let the police (Assistant Public Prosecutor) arrange it. Thus it is still the police (as it is the case in other European countries) who arranges the procedures, but it is the underlying principle that domestic violence is put on a political level which is the interesting aspect about it. The topic was also picked up in one of the workshops on risk assessment, where the specific requirements were discussed. The second example of best practice was given by our German colleague from the Ministry of Justice, Lower Saxony, explained the Action Plan in Lower Saxony to promote cooperation and networking among various stakeholders in the field of domestic violence. It was made clear that successful cooperation can only function when all partners know about other professions in the field and are aware about opportunities and limits of cooperation of each profession. Education and further training play an important role to implement issues related to victims’ protection in all professions. Moreover, the Action Plan identifies special steps and procedures to deal with high-risk cases and implements a kind of case management. A third example dealt with the successful recovery of a victim of domestic violence, who was invited to present her story to the audience. After long years of violence she succeeded in breaking the cycle of violence and in rebuilding her life. Thanks to a specific programme implemented by the Portuguese partner institution AMCV, she gained new self-esteem and is today in a position to talk about what happened to her. In various workshops the topic of risk assessment was thoroughly discussed from different angles. A highly interesting approach from the Netherlands met big interest – a new concept in women’s shelters: the ‘Oranje Huis’ (Orange House). 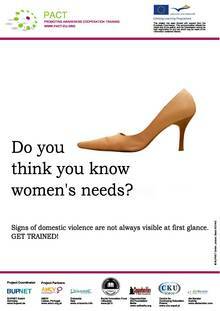 What is new about it is that the issue of domestic violence is no longer hidden in an undisclosed location. An ‘Oranje Huis’ is visible and recognisable and offers all services under one roof: advice, coordination, support and shelter. It provides direct help for all family members. Nevertheless, safety is their first priority, and thus the shelters are professionally protected and a risk assessment is carried out upon arrival of any client who seeks shelter. Orange refers to the target group, i.e. people who are in between green (no danger) and red (in life threatening danger). 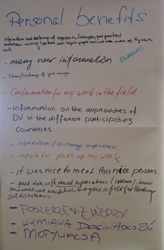 One aim of the workshop was also to gather feedback from the pilot phase. Workshop participants were invited to reflect together the experiences they made in their national pilots and to give their recommendations for improving the PACT training. Comments and feedback concerning the following aspects were collected on wall papers and discussed: personal benefits, potential target groups, recommendations, (de-)motivating factors. The PACT team is happy with the generally positive results and appreciates on the other hand the recommendations that are currently being processed. All participants acknowledged the wealth of information that is delivered in the training course and appreciated above all the opportunity for e-learning. Since they all have limited time for training, they were glad to be able to work flexibly on the platform. The recommendations were mainly related to technical aspects of the e-learning platform. As far as the de-motivating factors are concerned, people felt sometimes lost in the numerous e-learning units and would appreciate a clearer structure. Motivating for all participants was above all the European dimension of the course and the chance to learn about different approaches in other European countries and to exchange with European colleagues. If you want to learn more about the PACT training and get an account for our e-learning platform (available in EN, DE, IT, LT, PL, PT), please get in touch with the PACT project office: info@pact-eu.org. The feedback on the Lisbon workshop itself was very positive: Participants generally expressed that they received new insights and information thanks to the participation in the PACT workshops. All of them appreciated the extent to which they gained new perspectives and fresh impetus for their work as well as new ideas for transfer like researching local resources or establishing a local network. The workshop clearly underpinned the need for collaboration in the field of domestic violence and confirmed that there is a general interest in exchanging knowledge and experience with colleagues from other countries and professions. 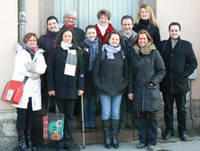 After the successful event in Lisbon, we are now planning our final conference, which will take place on December 2nd, 2011, in Kaunas, Lithuania. The conference aims at bringing together stakeholders from different sectors such as adult education, domestic violence and policy making; furthermore representatives from women’s NGOs, police, social and healthcare organisations are invited as well as interested persons from all over Europe. Beside project related discussions and presentations other relevant aspects will be addressed such as networking and collaboration, consequences of new legal regulation (Lithuania) related to domestic violence etc. The conference programme will be sent out in our next newsletter in autumn. You can register already now for the conference at the PACT project office info@pact-eu.org. As outlined in our May newsletter, the partnership conducted comprehensive research activities as well as interviews in order to explore specific needs and wishes in terms of training and networking of local stakeholders working in the field of domestic violence. The transnational synthesis of the results was compiled by the work package leader Orizzonte (Italy) and is available on our website. It has been the basis for the further development of our training kit and materials. As far as the training method is concerned interviewees clearly expressed their preference for e-learning as they could work flexibly in their free time. Generally, only few examples of attractive e-learning are available. Those that were found are mostly offered by American providers and do not respond to the identified needs nor do they reflect the European reality in various aspects, e.g. legal regulations. The training kit is going to be piloted from March 2011 onwards. The overall duration of the course is approx. 70 hours of which about 50 hours are provided in e-learning, i.e. approx. 15 hours per month. The organisation of face-to-face workshops is with the PACT project partners who will adjust the time table to the specific requirements of their participants. An integral part of the national pilots will be the international workshop in Lisbon. The highlight of the piloting phase is certainly the two-day closing workshop in Lisbon in June 2011 to which two to three participants of national pilots are going to be invited. The focus of the workshop will be on risk assessment for survivors and for professionals, exchange of good practice as well as on new approaches from the field such as different ways of handling the restraining order, “open” shelters or the like. Apart from gathering feedback on the pilot phase, lots of time will be dedicated to networking activities and exchange of expertise. We do believe that a European exchange will have a positive impact on the work of involved local stakeholders of every partner country. Every European project has the task to realise dissemination activities right from the start of the project and so did PACT. Normally this is not necessarily worth mentioning. In this particular case we are proud to give two examples of what has been done so far in this field. With the upcoming opportunity to present PACT in a big conference in Poland in September, the PACT partnership decided to create postcards and posters that are a bit out of the ordinary. We did not want to reproduce any act of violence to attract people’s attention but we were keen on creating something less obvious. Something that would not be directly linked to the topic of domestic violence at first glance but that would make people reflect. The BUPNET team had the idea to use simple objects of daily life – even objects stereotypically linked to women (like shoes) – and point to the problem that domestic violence is often not visible at first glance. In answer to our May newsletter the PACT coordinating team was invited to visit representatives of the Dutch police in Amersfoort working in the field of Domestic violence. In September, two representatives of BUPNET went to see the colleagues in Amersfoort. 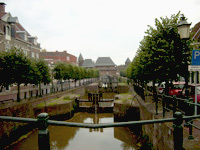 Apart from talking about the PACT project and the potential involvement of the Amersfoort team in the project activities, the BUPNET team learnt interesting aspects about new approaches: Thus, for example, the mayor is responsible for the decision as to whether someone receives a temporary restraining order and must leave their home. Sometimes there may well be a threat within a household, but there are insufficient legal grounds for the police to arrest someone immediately. In order to stop the threat and arrange help, the police (officially the mayor) can impose a temporary restraining order. This can happen if someone in the home poses a threat at that moment in time to the partner, children or other household members. If violence is strongly suspected, a temporary restraining order can be imposed in order to avoid further escalation. The mayor is responsible for the decision as to whether someone receives a temporary restraining order and must leave their home. In practice the mayor will usually let the police (Assistant Public Prosecutor) arrange it. It is also the mayor who can then withdraw the temporary restraining order and the partner or family member may return home. The mayor can also decide to extend the temporary restraining order to a maximum of four weeks, if there is still a danger of domestic violence. In a nutshell, it is still the police (as it is the case in other European countries) who arranges the procedures, but it is the underlying principle that domestic violence is put on a political level which is the interesting aspect about it.